Emissions from transportation are growing significantly in Africa, driven by urban sprawl, rapid motorisation and low levels of institutional capacity to manage traffic and its impacts. The United Nations Environment Programme (UNEP) estimates that 90% of urban air pollution in developing countries is attributable to vehicle emissions and the World Health Organisation (WHO) calculates that 176,000 deaths per year in Africa are due to outdoor air pollution. The African Development Bank (AfDB) has a ten-year strategy to facilitate Africa’s gradual transition to ‘green growth’ that protects livelihoods and promotes sustainable economic development. As part of this strategy, the AfDB sought to address air quality issues by appointing Ramboll on a project to advise governments, city authorities and policymakers on effective ways to accurately collect, store and analyse data and map transport emissions. The project would also identify options for financing low emission transport technologies assisting in evaluation of associated transport policies and scenarios. 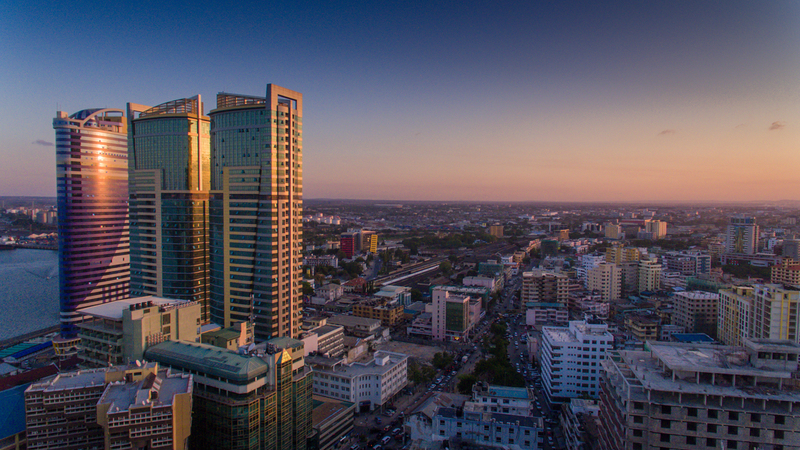 Five African cities were studied during a project that took eight months: Abidjan - Ivory Coast, Rabat - Morocco, Yaoundé - Cameroon, Dar es Salaam - Tanzania and Lusaka - Zambia. The Ramboll team identified an air pollution baseline in pilot areas of each city, showing the impact of road traffic on air quality. During these measurement campaigns, local agencies were trained to implement air pollution micro-stations and to monitor and map air quality. Cost-benefit analysis was also performed to demonstrate the benefits of lower emission vehicles. Ramboll’s recommendations were provided to each city and the AfDB also presented them at December 2018’s COP24 event in Katowice. Conducting air quality diagnostic exercises to consolidate the baseline in each city. Establishing an institutional framework for air quality monitoring. Ensuring sustainable capacity in air quality monitoring. Integrating mandatory quantitative air quality component in Environmental Impact Assessments (EIAs). Strengthening coordination of air quality efforts between different ministries and agencies. Increasing transparency in air quality reporting. The ambition is to roll out the learnings from the project across the entire African continent.